Private Lending Forum Blog | A Blog, where Private Lenders, Rehabbers and Real Estate Investors go to find answers to questions and learn about the world of Private Money and Trust Deed Investing. A Blog, where Private Lenders, Rehabbers and Real Estate Investors go to find answers to questions and learn about the world of Private Money and Trust Deed Investing. TRUMP TO BE NAMED 45TH PRESIDENT OF THE US, NOW WHAT? 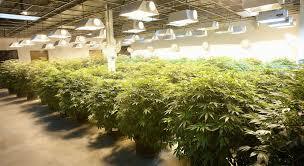 Denver’s Pot Market: Smokin’ Hot! 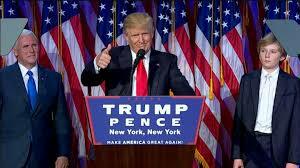 In a shocking turn of events that neither the polls nor financial markets predicted, Donald Trump will become the 45th president of the United States of America after defeating Democrat Hillary Clinton. Flickr/Gage Skidmore His path to victory was an unprecedented one, grabbing crucial battleground states like Florida and Ohio before breaking through the “blue wall” of typically Democratic-leaning states such as Wisconsin, Pennsylvania and Michigan that were imperative for Clinton’s success. “I feel that President Trump will be a more practical individual than Candidate Trump, and that Congress will become more important in shaping policy than in previous years,” Cushman & Wakefield senior managing director NY Tri-State Ken McCarthy tells Bisnow. Trump’s victory signifies a coming shift in global policies surrounding free trade, immigration and international finance promised on the campaign trail. The win has certainly dealt a shocking blow to global financial markets, with stock futures plunging election night. “World financial markets and the central banks in many nations are reeling with the prospect of having to deal with the president-elect, especially given some of the policy statements he made during the campaign,” Yardi director of research and publications Jack Kern tells Bisnow. Jack says he suspects volatile markets will calm as advisers to the White House rein in rhetoric from the race and propose more reasonable positions. “Trump for the most part will avoid controversy in his first 100 days if he can help it,” he says. US markets seemed to brush off the tumult Wednesday morning as stocks inched higher, according to the Wall Street Journal. The Dow added 63 points during early morning trading and the S&P 500 rose 0.2%, as did the Nasdaq Composite. “S&P and the Dow are both up, which is amazing,” Matthew Cypher, Director of Steers Center for Global Real Estate at Georgetown’s McDonough School of Business, tells Bisnow. “It’s just going to take some time to process. Uncertainty is not anybody’s friend, real estate or not. Everybody thought the world was ending with Brexit, and I’m not sure this is much different in terms of shock value.” Other experts also are likening the surprising win to Brexit. Britain’s decision to leave the European Union in June was the first major political shock global economies faced this year, leaving European officials reeling and sending the British pound to a 31-year low. Similar to the number of people surprised by Brexit’s outcome, Trump supporters were consistently underestimated in the polls, and few foresaw his victory. “Once again, just like after the EU referendum outcome, we are left with more questions,” Colliers International London chief economist Walter Boettcher tells us. “How isolationist will the US become under Trump? Is the EU-US trade deal dead? How much will immigration controls be tightened? Will Trump try to make good on his various, bombastic policy ideas or was this all just hyperbole? Time will tell, but do not look for any clear indicators until the end of the year—and even then, the likelihood is that his policies will only become clear after his first 100 days.” Pixabay Although it’s still too early to determine how a Trump presidency will impact global economies in the long term—as much of Trump’s policies related to trade and lower taxes have yet to be clearly outlined—most real estate professionals are curious about the impact his win will have on the industry. Matt tells us that if the economy continues its upward trajectory—with GDP up to 2.9% in Q3, the labor market nearing full capacity and healthy consumer spending—real estate should remain strong. “There’s going to be a near-term pause to digest, but there’s still a ton of capital in the system,” Matthew tells us. “I think everybody is going to sit tight for a while and see how this goes over the next couple of weeks. Anything beyond that at this point is speculation.” Jack says the industry might be in for a few hits. “The first shock is that a real estate guy is now the president-elect. I don’t think anyone ever believed that was possible or likely,” Jack says, adding that the pace and intensity of CRE may slow as owners and investors wait to see what the new administration and still-Republican-controlled Congress propose. It is the No. 1 barrier to entry for young, would-be homebuyers: credit. Millennial’s are the first generation to come of age in a post-almost-apocalyptic housing market, where lenders, eight years later, are still paying billions in reparations for mortgage misconduct and outright fraud. While Millennial’s are waiting longer to get married and have children, factors that are the primary drivers of homeownership, the leading edge is now entering the housing market. Millennial’s are even starting to move to the suburbs, and in fact, last year marked a turning point, where urban centers reached “peak millennial,” according to a new study from Dowell Myers, a professor of urban planning and demography at the USC Price School of Public Policy. Single-family rentals in the suburbs are more popular and more abundant than ever before, but the majority of Millennial’s say they do eventually want to buy. That means mortgages. More than one-third of home loans made to Millennial’s since 2014 were Federal Housing Administration loans insured by the federal government, according to Ellie Mae’s new Millennial Tracker. This is far higher than the 22 percent overall share that FHA commands in total mortgage volume today. FHA allows borrowers to make just a 3.5 percent down payment, which is attractive to younger buyers who are cash-strapped to begin with, but additionally burdened by a sky-high rental market. The additional cost, on top of higher credit score requirements, continues to sideline young buyers. While household formation is growing, only one-third of those new households are owner-occupants. The rest are renters, which is why the homeownership rate in the U.S. is falling again, now down to 63.5 percent, according to the U.S. Census, just one tick higher than its 50-year low. DENVER—There seems to be no downside to the Denver retail market–and that includes the suburbs as well as the CBD, where the famed LoDo district is, in the words of Jeff Hallberg, exploding. Of course, the headline continues to be the way the marijuana market is changing the face of local retail, a potential bellwether of what other cities will be like if and when pot is legalized in all 50 states. But it should be noted that, in a classic good-for-goose-and-gander scenario, the shops do pay out, and Hallberg tells of one 1,000-foot store that produced $500,000 a month in revenues. In large part the rents are driven by the premium for space. Restrictions in place limit where the shops can go, including their proximity to schools, rehab centers and liquor stores. By the way, they also have to close by 7pm, at least in Denver. Of course, the marijuana business, newsworthy though it clearly is, remains only a segment of the macro-hot Denver retail scene–one that shows no signs of cooling, despite talk of market peaks. “In Denver, we’re a bit different than most other metro areas in that we haven’t overbuilt,” he says, clearly a lesson learned during the heady days leading up to the last economic dump. “Over the past four years, there’s been about six million square feet of new retail space delivered.” That compares favorably–very favorably–to the 5.7 million delivered in 2007 alone. “We’ve been working hard not to overbuild,” which shows in the Denver MSA’s 5.6% vacancy rate. And it shows in the rental rates, which he pegs around $30 a foot on average, with new product leasing space in and around $50 a foot NNN in the above-mentioned LoDo, RiNo (Lower Downtown and River North) and Central Platte Valley submarkets, all awash in gentrification and reflecting the fitness-center, Trade Joe’s, Fresh Market tastes of the millennials flocking in. That compares to the mid-$20s that, depending on the anchor, suburban spaces are getting. But the Mile-High City is different here too, as Hallberg explains and, unlike other MSAs, the Denver suburbs have a secret–the ever expanding light rail. In fact, the metro’s Regional Transportation District in late April completed a leg connecting Denver International Airport with downtown’s Union Station with multiple suburban stops. Again, the rental rates tell the tale, and Hallberg reports that those high-density suburbs break the out-of-town mold with rents approaching downtown’s $30 a foot. Clearly, Denver is firing on all cylinders, and redefining the market as it goes. Not surprisingly then, Hallberg is optimistic. In a disciplinary meeting the next day, Mr. Pavelski’s supervisor acknowledged that he had been working grueling hours, so he was given another chance. Still, Mr. Altchek wanted to send a message. “Our feedback to him was, ‘This is not a three-strike policy, it’s a two-strike policy,’” he said. Mr. Pavelski is still on his first strike. 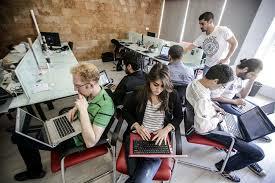 But even in an office that is tolerant of youthful boundary pushing, some millennial behavior can cross the line. Mr. Altchek recalled a companywide meeting last September that coincided with the religious holidays Yom Kippur and Eid al-Adha. An Anglo-Pakistani employee asked why management had announced a flexible time off policy for the Jewish holiday, but not for its Muslim counterpart. “So I told her, ‘Great point, being inclusive and respectful of all religious affiliations is incredibly important to Mic,’” Mr. Altchek said. Mr. Altchek did not think such a comment belonged in a workplace, especially his. A sense of entitlement is not the only stereotype attached to millennials in the workplace. “Entitled, lazy, narcissistic and addicted to social media,” according to CNBC. “They Don’t Need Trophies but They Want Reinforcement,” Forbes wrote. “Many millennials want to make the world a better place, and the future of work lies in inspiring them,” Fast Company proclaimed. Older managers confused by why millennials like to Snapchat with co-workers, or don’t want to pay their dues with grunt work, had better get used to it. Last year, millennials edged out Generation X (35 to 50 years old in 2015) as the largest share of the labor force, according to the Pew Research Center. What’s more, millennials have also surpassed baby boomers. 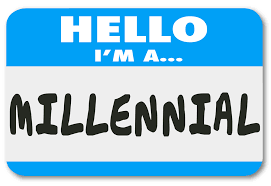 Joan Kuhl, 36, who founded Why Millennials Matter, a consulting firm that advises employers like Goldman Sachs on hiring and retaining recent college graduates, said that what is needed is more familiarity. “We tend to publicize these outrageous acts of defiance, versus emphasizing the majority that I run into and work with, who are very mission focused and value based,” she said. So imagine a workplace where all are in their 20s. Mr. Altchek founded Mic in 2011 (then operating as PolicyMic) with Jake Horowitz, now 28, his former classmate from the Horace Mann School in New York. Today, Mr. Horowitz reports from the field (such as the Syrian migrant crisis from the beaches of Greece, and interviewing President Obama in the White House), while Mr. Altchek runs the business out of a 15,000-square-foot converted warehouse in the Hudson Square neighborhood. At Mic, part of the growth strategy is not just airing, but blaring, its business on social media. Hence there are office conversations held on Twitter, and the blurring of personal and professional boundaries, such as when Mr. Altchek broadcast his dental examination on Periscope, a live streaming video app. Indeed, several Mic staffers cited the “say anything” office culture as one of the things they loved most about working there. Ms. Plank contrasted her freedoms at Mic to her previous job at a feminist nonprofit organization, which she regarded as exemplifying the outdated work practices of older people. At Mic, she was able to dabble in different jobs and negotiate grandiose titles like “executive social editor.” Often, she prefers the theater of tweeting back and forth with the editor she sits next to rather than speaking face to face. “If you can be young at heart, I think it makes your personal, and not only your work life, better,” added Ms. Plank, who left for Vox last month after two and a half years at Mic. Perhaps because of this very culture of workplace-as-reality-show, Mr. Pavelski, the prevaricating treehouse builder, remains notably unchastened. The logic of that may be more apparent to his age group. An earlier version of this article omitted the news of the departure of Madhulika Sikka, which was announced after the article was edited but before it was published. An earlier version of this correction misspelled Ms. Sikka’s given name. The Bay Area is the most profitable place to buy a house, renovate it and then resell it quickly, making it the best region in the U.S. to “flip” a house, real estate tracking firm RealtyTrac said this week. RealtyTrac analyzed sales deed data and automated valuation data and included any single-family home or condo flip from the second quarter, where a previous sale on the same property had occurred within the last 12 months. It found that the markets most likely to make the highest profits were in the Bay Area, in Silicon Valley and in San Francisco/East Bay. You can see the full ranking with locales and average gross flipping profits below, and the report here. Nearly 180,000 family homes and condos were flipped in 2015, according to RealtyTrac. A flip is defined as a home that is bought and sold again within the same 12 months. Flips made up 5.5 percent of all sales last year, and that is the first increase in the flip share after four years of shrinking. Flipping increased in 75 percent of U.S. markets, and the profits are growing as well. Jim Pinson works with investors to flip houses on the south side of Chicago and does two or three flips of his own each year in the Oak Lawn area. Home prices in Chicago have not soared as much as in other parts of the nation, but there are still a lot of distressed homes available for sale, and plenty of investor demand. “Oh my God, there are multiple offers on almost every decent margin profit house that pops on the market,” said Pinson. The concern now is that prices are rising too fast, not because buyers can afford to pay more but because of extremely short supply of homes for sale, especially on the lower end of the market. Home prices in January were 6.9 percent higher than the January 2015, according to CoreLogic, a higher annual gain than in December. Home flipping can push prices artificially higher, especially in markets with the tightest inventory. “When home flipping numbers go up, it is usually an indication that the housing market is in trouble,” said Matthew Gardner, chief economist at Windermere Real Estate in Seattle, who was quoted in the RealtyTrac report. That was the case during the housing boom in the mid-2000s, but at that time flippers were putting next to no money into their investments, instead using cheap credit. That credit no longer exists. 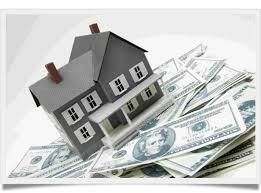 They have to put significant money into their flips, even when using investor loans. Still, affordability for that end-user, the owner occupant looking to buy perhaps a first home, is weakening. First-time home buyers are still a much lower share of home buyers today than they are historically. The risk of another home price bubble could push them even further away. As home prices rise, even in Chicago, investors have to put more money down and put money into renovating the homes, which are often in severe disrepair. Investors have to be careful to make sure they’re buying the right house in the right place, otherwise they won’t find buyers ready to move in. “Demand is block by block, and you’ll have people running out and making offers, but it depends on what block you’re in,” added Pinson. Just after the housing crash, large institutional investors moved in and bought thousands of distressed properties and turned the vast majority of them into rental homes. They are now buying fewer homes, leaving the field open for smaller investors who would rather flip than hold the homes. The total number of investors who completed at least one flip in 2015 was at the highest level since 2007, and the number of flips per investor was at the lowest level since 2008, according to RealtyTrac. Flippers are watching home prices rise, and in turn seeing returns rise. Homes flipped in 2015 yielded an average gross profit of $55,000 nationwide, the highest for flips nationally since 2005, according to RealtyTrac. The return on investment was close to 46 percent, up from 44 percent in 2014 and up from 35 percent in 2005. 2005 was when flipping was rampant, thanks to super easy credit. Back then, over 8 percent of all sales were flips. Today flippers are seeing the best returns in Pittsburgh, New Orleans, Philadelphia, Cincinnati and New Haven, Connecticut. The biggest dollar returns are in California and New York, but investors there must put bigger dollars down for those flips. We already feel like airlines are screwing us enough. Add long delays, overbooked flights, lost bags, and it turns into hell on the runway. But there’s a silver-lining, if you know what to ask for. Here are seven ways to get even. It’s hard not to freak out when you’re bumped off an oversold flight. But remember this: you can get paid back. According to the Department of Transportation, if you get to your destination between one and two hours of your original arrival time on a domestic flight, or between one and four hours on an international trip, the airline owes you 200 percent of the one-way fare (up to $675). If you arrive more than four hours later than planned, you’ll pocket 400 percent of the ticket (up to $1,350). Still can’t believe it? An AirHelp study found that the average payout is $643. So you’re stuck on the runway, forced to watch Taken for the fifth time as the hours tick by. (No offense, Liam.) Lucky for you, you can’t be held on a delayed plane for more than three hours on domestic flights or four hours on international routes (if you don’t want to be at least). Airlines are also obligated to update passengers every 30 minutes, and serve food and water after a two-hour wait. Pass the pretzels. Don’t let an airline ever give you a voucher for a bumped flight, or any other inconvenience. Vouchers are like Monopoly money. They look good on paper, but they’re not as useful in reality. Your best bet? Ask for cash or a check because credits almost always come with strings attached (i.e. blackout dates). So before you pass go, collect your $200 — in cash. Got a bad case of buyer’s remorse? 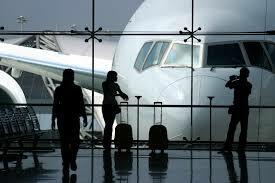 Don’t worry, most airlines allow you to cancel or change your ticket within 24 hours for a full refund. In fact, on some carriers (like Southwest) you can even change plans until right before takeoff at no charge. But there are some exceptions. Take American Airlines: You can hold a ticket up to 24 hours, but once you book, you’re locked in. Also, keep in mind that third-party sites like Kayak or Expedia have their own set of rules too. When flights are delayed, rescheduled or canceled (ahem, winter storm Jonas), many passengers are forced to rearrange transportation. In situations like these, the airline must either cover all the expenses and fees to reroute you or give you a full refund — even if you bought a non-refundable ticket or were rebooked on a different carrier. So, if the only seat left on the next flight out is first-class, it’s yours without costing a cent. More champagne, please. This will be the last time you’ll ever have to sleep at the gate, or worse, on the terminal floor. Airlines are required to offer free accommodations if you’re stuck overnight involuntarily. Just don’t expect the Ritz. These hotel vouchers can be claimed at any time, meaning if you decide to stay with friends instead of a Holiday Inn, you are still entitled to the coupon. It’s also worth asking if they’ll cover meals as well. If your checked bag is lost, delayed or damaged, don’t settle for the small $50 sum you’re usually offered. Depending on how much your items were worth and how long your bags are MIA, you could be repaid up to $3,500 per passenger in liability for a domestic U.S. trip, and up to $1,675 on international flights. Hello, shopping spree.